It's common to be able to stream live TV via 3G and 4G mobile networks. But now one company has unveiled a system that allows TV to be streamed at ultra-low bitrates suitable for 2G mobile networks. The new technology is being introduced in India, to a market where up to 70% of users rely on 2G for their mobile internet access. Movie-on-demand provider FastFilmz’s service launched on 29th March 2016, focusing initially on the ca. 120 million Tamil speakers in India using London-based V-Nova's PERSEUS software, which enables SD quality video distribution at sub-audio bit-rates (i.e., < 128 kbps), allowing it to be used on 2G. The new technology has further potential for implementation around the world: V-Nova says it will enable operators and service providers "to provide high quality video (i.e., both linear and non-linear) within their bandwidth constraints: UHD at HD bitrates on large screen TVs, HD at SD bitrates on legacy set-top-boxes and mobile devices, and SD at sub-audio bitrates over bandwidth-constrained mobile networks." 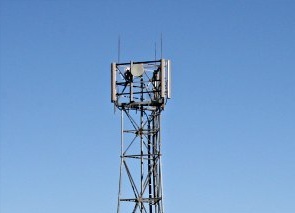 With mobile network operators the world over fighting for ever greater slices of former terrestrial TV spectrum on the grounds of being able to cater for an expected increase in data usage, such technology may force a rethink about what is technically possible on current networks and how much capacity is actually needed for the future.